MAXXII is a skid-steering tracked mobile robotic platform which can be used for a large variety of applications and to speed up your robotics research! You can easily add your own sensors or you can ask us to integrate them for you depending on your requirements. Usually, MAXXII is configured with 360° Laser Sensor, RGB-D camera, motor encoders, current sensors and RTK GPS with a very high accuracy. Thanks to its rubber tracks, it can be used both for indoor and outdoor applications and its payload allows the users to add additional devices and laptops. Moreover, it provides several power output in order to connect multiple devices. The large ground clearence lets the vehicle to overcome obstacles like rocks and debris. MAXXII comes with a well-documented ROS node which allows the user to remotely control the robot and to easily integrate sensors, devices and actuators. It also includes C/C++ library for cross-platform development and for third-party integration. 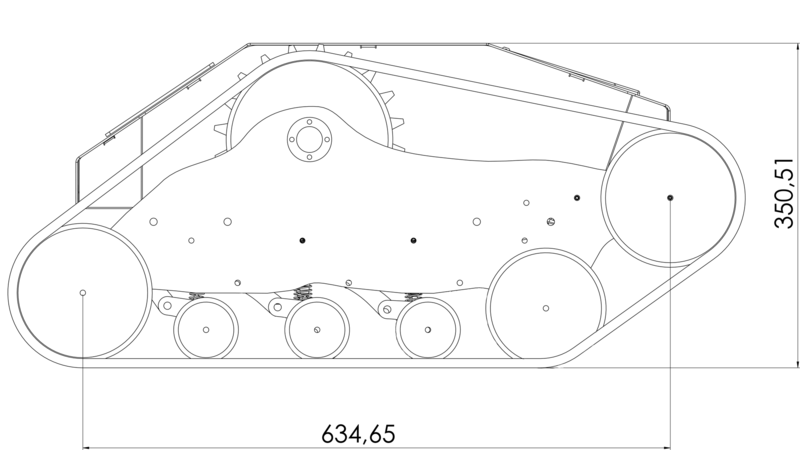 The user can move the robot by using the standard geometry_msgs ROS messages. Thanks to its modular undercarriage, you can use MAXXII both for robotics indoor and outdoor applications; moreover, its soft rubber pads prevent slips on flat surfaces. The sprockets and the idle wheels are designed to balance the vehicle and to better distribute its weight on the ground by providing a large footprint and a great grip. MAXXII is not afraid of the night! Thanks to a powerful 20W headlight with 1580lm mounted on its front and rear bumpers, you can face the night without problems! You can use this vehicle for surveillance or for inspections in no light conditions and in rought environments since boht lights are IP67 and come with LED technology. The vehicle is designed by using high quality components both for mechanical and electronics parts. The power supply comes from a 24VDC AGM fully isolated battery while the motors are able to provide a very high torque up to 40Nm. The onboard electronics board is able to accurately control the motors and all the sensors. MAXXII is designed to provide the maximum grip both on soft and hard surfaces. The tracks are modular, so you can adapt them to your needs. The tracks pads are made by High-density polyethylene (HDPE) which is a hard rigid plastic coated with soft rubber for an excellent grip in every situation. MAXXII comes with a very powerful controller able to provide multiple interfaces for several applications and needs. 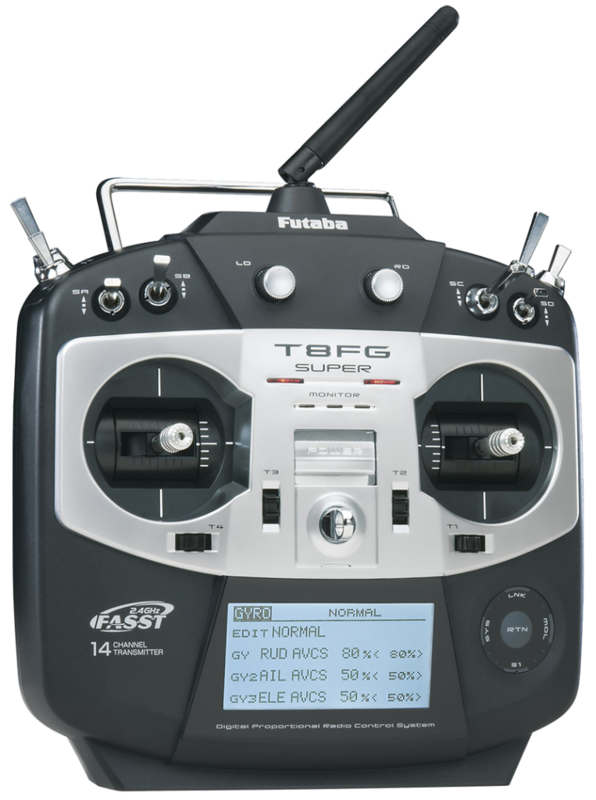 In particular, it includes a radio board with a remote control link up to 150 meters with a frequency of 433 Mhz or 2.4Ghz, different analog and digital I/Os, serial interfaces and a large set of sensors for odometry and environmental data like the RTK GPS and the 360° laser scanner. Are you looking for a specific hardware configuration? Try us! 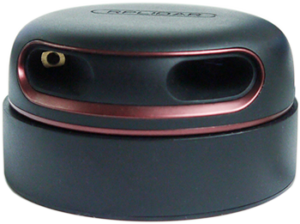 The standard sensor is the RPLidar 360° which provides a very accurate dataset both for indoor and outdoor applications; this kind of sensor is useful for obstacles detection. 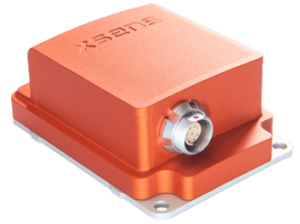 A 9Dof inertial sensor like the XSens Mti-300 is very useful when you have to develop an autonomous application and you need to retrieve the vehicle position in the 3D space. 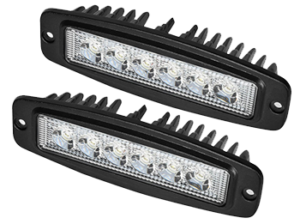 A pair of LED lights are always needed when you need to make hte vehicle move and operate over the night or in very dark environments. They are IP67 with a low power consumption. The RTK GPS is a very important sensor to have when you are developing an autonomous application for outdoor environments. 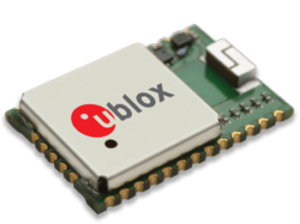 The U-blox solutions provides a very high accuracy. Do you need more information about MAXXII robot?